Need A Workout Routine That Will Work For You? Need a workout routine? How about the BEST workout routine? You know, the one that will work best for your exact goal (losing fat, building muscle, getting “toned”, increasing strength, etc.)? Well, here you go. Have trouble sticking to your diet? Here's what to do. Continue Reading >>Have trouble sticking to your diet? Here's what to do. a Calorie Counter just increased its awesomeness. a Calorie Counter just got a bunch of cool and useful new features, all of which you guys requested. Check them out! Trying to lose fat or build muscle? I know why it's NOT working. Continue Reading >>Trying to lose fat or build muscle? I know why it's NOT working. a Calorie Counter just got way more awesome. a Calorie Counter has been updated with something you’re definitely going to want to see and use. So… come see and use it. a Calorie Counter turns 1.
a Calorie Counter has now existed for 1 full year. Let’s celebrate! Did you know these foods contain trans fat? After looking through a whole lot of ingredients, here are 10 very common foods that contain trans fat even though their labels say they don’t. Do you have any interest in building some muscle? If so, consider today your luckiest day in the history of lucky days. Remember The Ultimate Weight Loss Guide? Well, this is the muscle building equivalent. Come check it out. Here’s an easy-to-understand guide to diet creation and healthy eating. 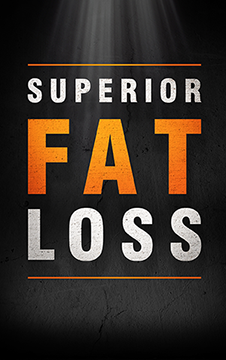 If your weight, diet, nutrition or health could use some improving, this is the place to start.